Scientists studying seawater temperatures in the Amundsen Sea—part of the West Antarctic Ice Sheet (WAIS) - found a cycle of warming and cooling in the ocean over the 16 years of their observations. 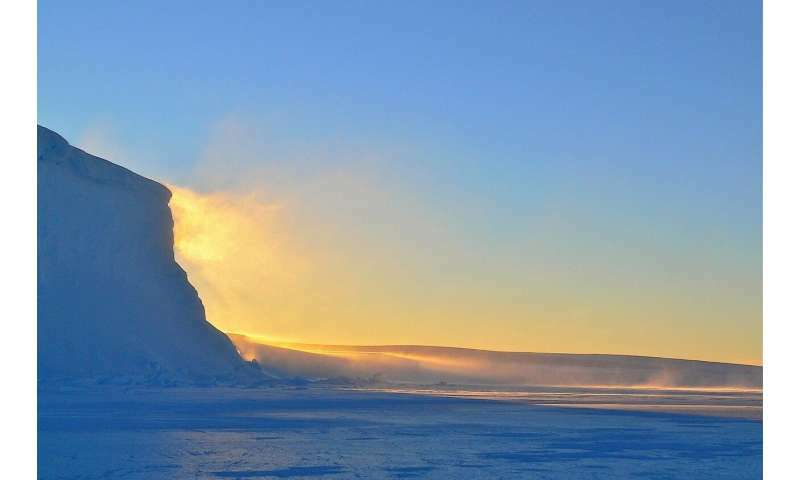 They show for the first time that while mass loss from the ice sheet increased during a warm period, it steadied and in some cases decreased during cooler phases. The authors also show evidence for linking this cycle to El Nino in the tropical Pacific Ocean. During eight Antarctic summers from 2000-2016 an international team of scientists from the UK, US and South Korea, observed changes in ocean temperature, salinity and currents near the Dotson Ice Shelf—an area of floating ice over three times the size of Greater London and seven times the size of New York City. Well obviously it can`t be global warming due to humans! We have the cleanest cars now. Ain`t it so Mr President?